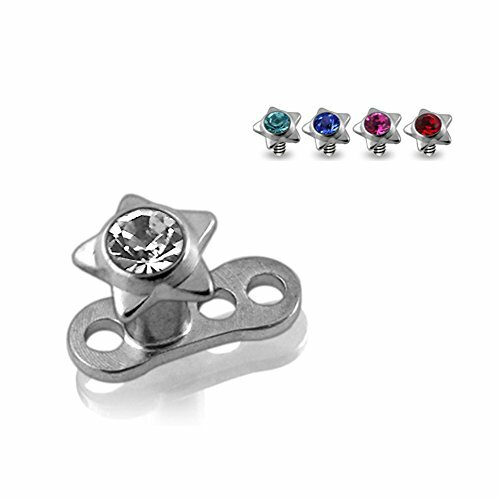 Dermal Anchor Piercing Set Meterial:Titanium G23 Base and Surgical Steel Top Size:1.6mm Sold 1 Pc Base with 5 Pcs Top Dermal Set . Sold 1 Pc Base with 5 Pcs Top Dermal Set . If you have any questions about this product by Dermal Anchors, contact us by completing and submitting the form below. If you are looking for a specif part number, please include it with your message.